Another season of MAGIC Market Week has come and gone, and with it comes an abundance of fashion trends, photos, brand discoveries, and seminars. 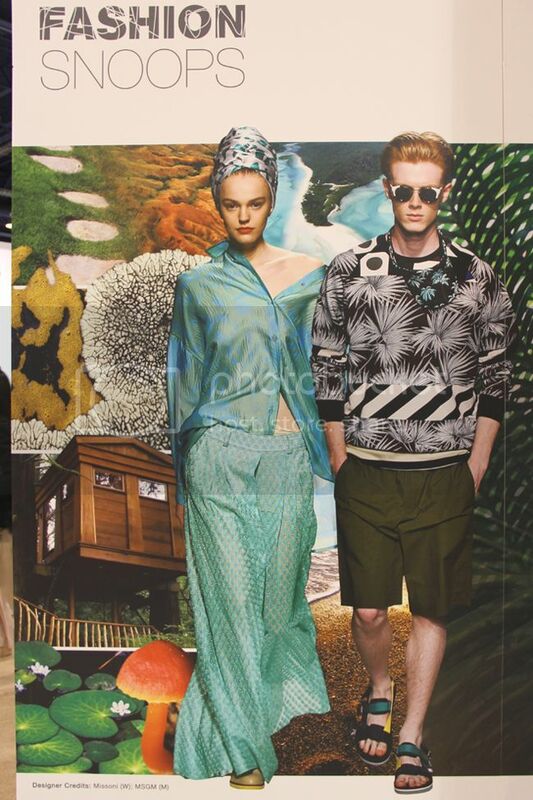 The highlight for me is always catching up with New York-based trend forecasting firm Fashion Snoops. If you follow me on Facebook, Instagram, Twitter or Snapchat @thekeytochic, then you might've already seen some trend reports and sneak peeks, especially of my favorite footwear discoveries at the trade shows. To see additional photos of each trend, including color palettes, key items, and fabrics, head on over to my trend forecasting boards on Pinterest, where you'll have access to much more fashion and trend inspiration. September 21, 2016 update - See 4 key fashion trends for fall 2016 with luxury retailer Orchard Mile. August 19, 2016 update - See the top 7 fall 2016 and winter 2017 fashion trends for Juniors as seen at WWDMAGIC. For more trend inspiration, see my spring 2016 Juniors' trend report, my spring and fall 2016 footwear trend report, my top sandal trends for spring 2016, my spring/summer 2017 trend forecast, childrenswear spring/summer 2016 trends, my seven denim trends for spring/summer 2017, and my 2016 denim trend report. Let's talk about trends! For spring/summer 2016, Fashion Snoops is calling out four key womenswear trends: Alive, Gen-U, Seamless Innovation, and Global Commune. 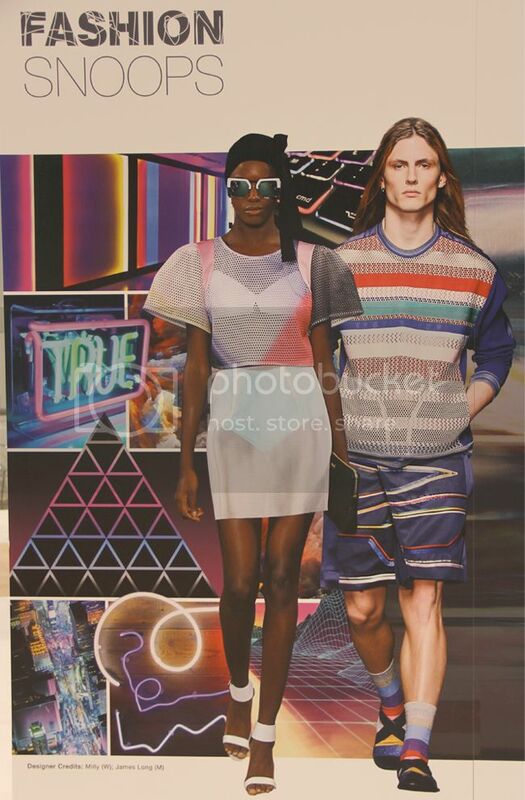 In this trend report, I'm going to share key points and photos from their trend galleries and their spring/summer '16 presentation. Let's get started with the first trend, Alive. It's about homegrown influences, organic textures, and a magnified approach to looking at things such plant life and cellular structures. It looks at every day as an experience that lives life to the fullest, with bright eye. It's about living life out loud. The Women's trend story for Alive is called Ophelia. It references a pre-Raphaelite painting and a Shakespeare character that lives in the rain forest. She is intertwined with nature for a tropical feeling. 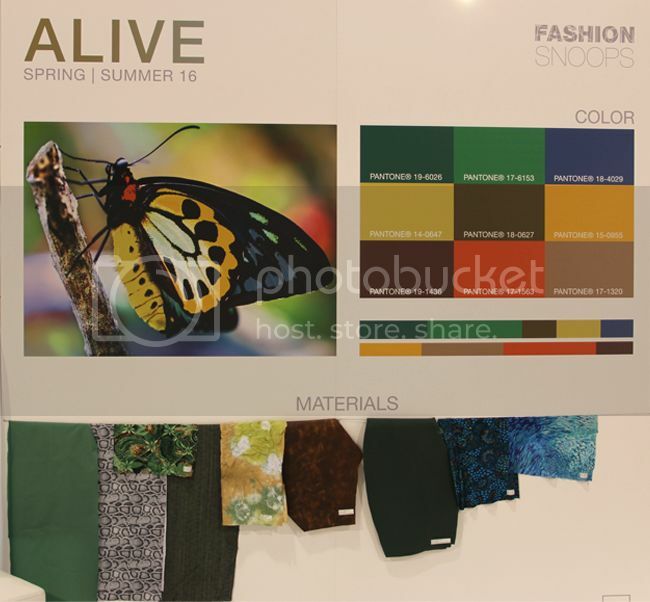 Color palettes for Alive and Ophelia are saturated with green tones. Yellows are also important, as are sunset gold and chartreuse. Olive is a base color. Vermilion (a reddish orange) is an accent color. Earthy browns and khaki finish off the earthy mix of hues. Materials are novelty fabrics such as jacquard, reptile, leaf-like abstracts, lace, tweed-like textures (as on this dress), and chiffon. Patterns are tropical, palm repeats, Amazonian motifs, plant inspiration, veins, and microscopic. Floral embroidery, appliqués, feathers, 3-D embellishments, cutouts, and plunged necklines are important to the trend. Key items for Ophelia are: the camisole (see this 3-D version), oversized blouse, asymmetrical skirt with ruffle, culottes, wide-leg bottoms, palazzo pants, robe coats, trapeze shaped maxi dresses, and shift dresses. The print on this crop top and on this tube skirt are great examples of the trend. Accessories include the leaf clutch, wedge sandals with fur or feather trim, and the bucket hat. Retailers and brands to browse for examples of Alive/Ophelia include: net-a-porter, Free People, Threadsence, Johnny Was, Barneys, and Anthropologie. 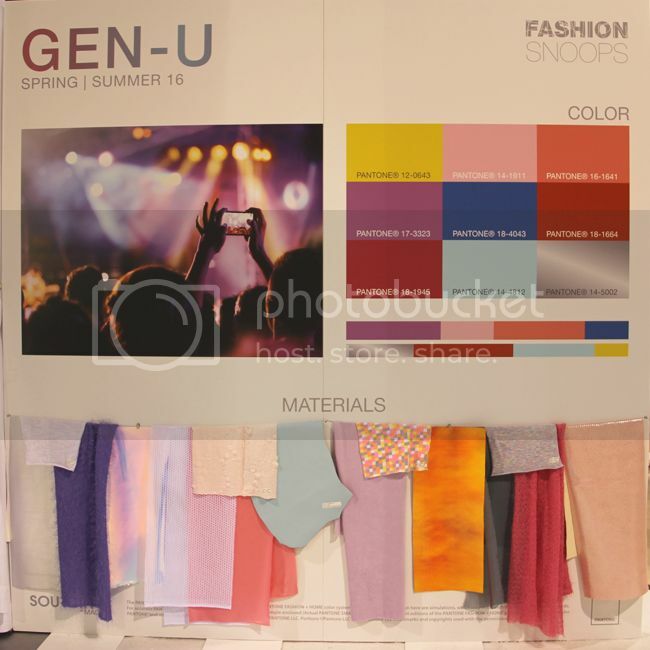 The next trend, Gen-U speaks to the younger, Junior's market. It's about the bold, creative, urban spirit, and creating your own destiny with a digital undercurrent. The Women's trend is called Candy Raver, and it's inspired by EDM (electronic dance music), with an electric, shiny look and an athletic, futuristic slant. Think shiny surfaces and nightclub-worthy, attention-grabbing finishes. Colors are lively lemon yellow, candy apple red, deep magenta, melon pink, orchid purple, periwinkle, and aqua. Materials are holographic, PVC, bonded fleece, distressed jersey, technical mesh. Patterns have vibrant colors, blurring/glitchy motifs (as on this dress), 8-bit graphics, cotton candy pastels. Details are utility: hoods, zippered front, pockets, and buckles. Rounded shaped silhouettes and paillettes are key. 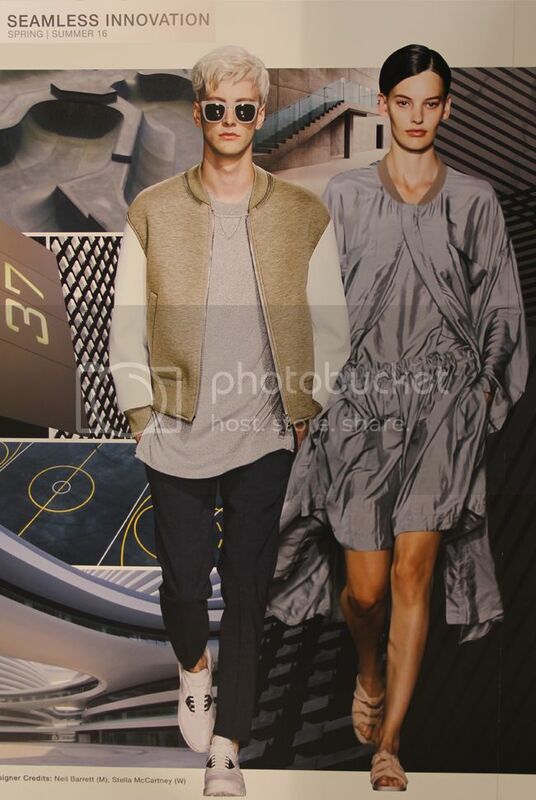 Key items are: cropped silhouettes, the cropped boxy woven tee, fitted midriff tee, the wrap mini skirt, basketball shorts, jogger bottoms, the boxy elongated tee, the parka, and the bomber jacket (see many bomber jacket examples here). The best retailers to browse for more Gen-U inspiration are Barneys, Adidas, Nasty Gal, Boohoo, Target, and Topshop. The third trend, Seamless Innovation, has activewear influences. It's about intelligent essentials, and how we wear wear technology. It embodies urban minimalism with a sport edge and purposeful design with a technical balance of utilitarian softness. The Women's trend is called Active Duty, with a utility focus and modern, timeless silhouettes. There are slight military references and an active (but not sporty) vibe. Colors are minimal and include: custard, orange rind, and seaglass/aqua as accent colors. 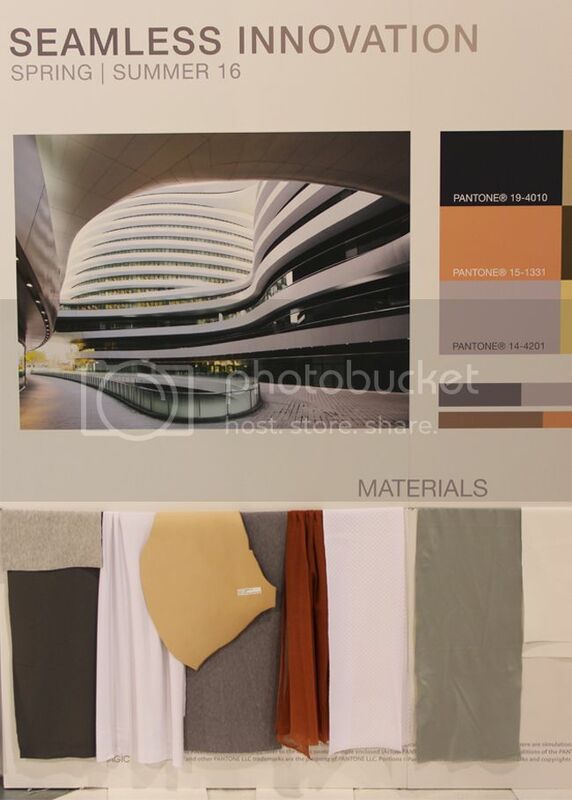 Hazy taupe, tailored grey, olive, and navy act as base tones. Materials are cotton twill, gabardine, army surplus, linen, nylon, mesh and silk jersey. Details include: zippers, suspenders, buckles, straps, shoulder cutouts and elastic waistbands. Key items are: the jumpsuit, wrap skirt, woven tee, trench style sleeveless coat with military reference, Bermuda shorts with an elastic waistband, wide-leg pants, the midi skirt in a slim silhouette, and parkas. Accessories are Teva sandals (see this youthful, trendy version), buckles, slide sandals, stirrup socks, and visors. Brands to reference for Seamless Innovation/Active Duty are Adidas, J.Crew, Topshop, Nasty Gal, Boohoo, and net-a-sporter. 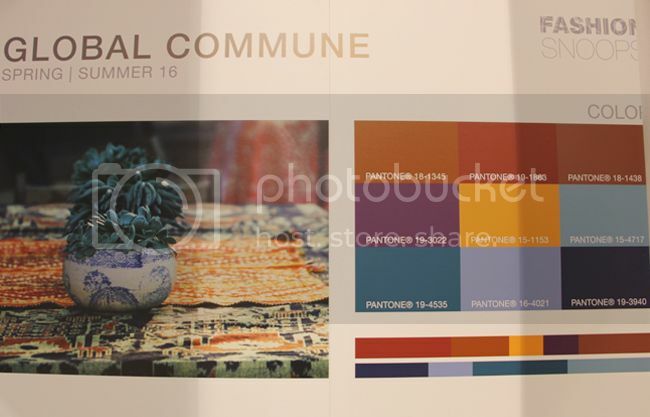 The final trend, Global Commune, is a personal favorite. 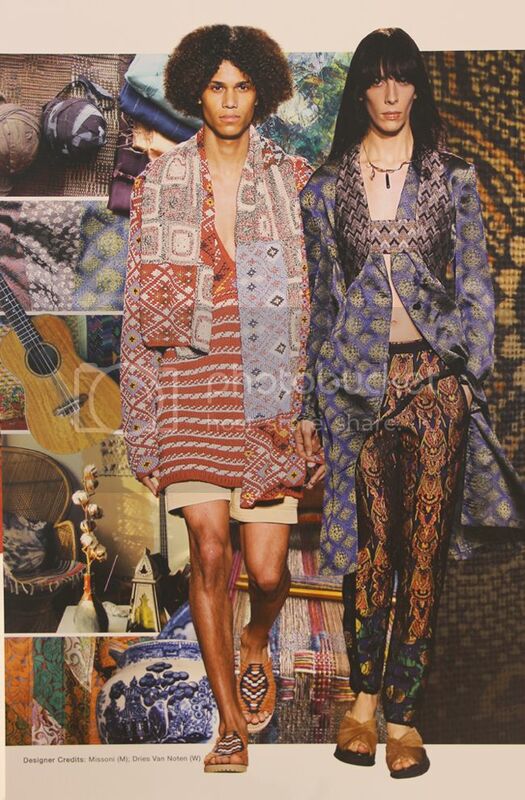 It captures a bohemian spirit with artisanal techniques, hippie inspiration, and a 1960s free-spirited craftmanship. Saturated indigo tones, rumpled surfaces, tapestries, and a cultural, worldly aesthetic factor in. The trend's expression for women is called Commune, which is a deeper appreciation for world cultures and artisanal techniques. It applies a haberdashery approach for a unique feeling. The color palette is copper, red, and persimmon with pops of dark teal and moonstone blue, in addition to vintage indigo as a base color. Materials are tweed, jacquard, hand loomed knits, collage effects, crochet, leather, and crepe de chine. Patterns have Art Nouveau and Japanese influences. Medallion prints (like on this pretty blouse or this chic dress) and patchwork (see this exquisite dress) also figure into the trend. Details are the more the better. Fringe is important (see examples here), as are trim details, topstitching and embroidery (lots of embroidery examples here). Key items include: the midi sheath dress, pajama pants, the matched skirt set, oversized kimono-sleeved jacket, boxy woven tee (with rounded shoulders), polo sweater (like this), collarless jacket, and the dirndl mid-calf skirt (like this style). Accessories are clogs (here's a personal favorite), patchwork ankle boots, the wrap belt (love this braided version), and bucket bag. For more examples of the Global Commune trend, see Nasty Gal, J.Crew, Anthropologie, Johnny Was, Threadsence, and Free People. *For more photos of each trend, including color samples, key items, and fabrics, click on over to my trend forecasting boards on Pinterest. 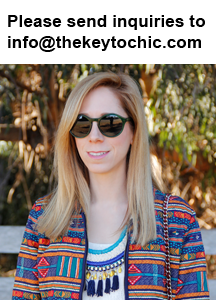 For more daily trend inspiration, retail reports, and trend info, find me on Snapchat (user name thekeytochic) and like my Facebook page, where I'll be sharing exclusive photos and trend information. **See Fashion Snoops for trend reports, subscription services, and more fashion forecasting info. ***Want more trend forecasts? See my fall 2016/winter 2017 fashion trend forecast, childrenswear spring/summer 2016 trend forecast, spring/summer 2017 denim trend report, 2016 denim trend report, spring 2016 Juniors' trend report, spring/summer 2017 trend forecast, fall 2016 and winter 2017 fashion report for Juniors, and my spring/fall 2016 footwear trend report.